National Union leader says new government would collapse if PM Netanyahu moved to implement US peace plan. National Union leader Bezalel Smotrich said on Wednesday that his party would not sit in any government that would consider US President Donald Trump's peace plan. 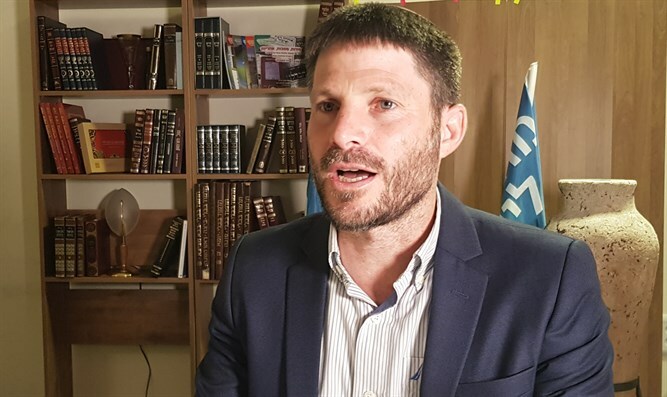 "I am not negotiating a plan that is going to establish a terrorist state on the border of the State of Israel," Smotrich said in an interview with Kan radio. He added, "I said he would find us the most loyal partners, and of course we expect fairness from the other side." "If he thinks about the Trump plan, that's OK. But if he moves forward with it, then he probably won't have a right-wing government. Not only because of us, but because of his own Likud members," he said. Earlier, President Trump's National Security Advisor John Bolton stated that the administration's peace plan would be presented "in the very near future."